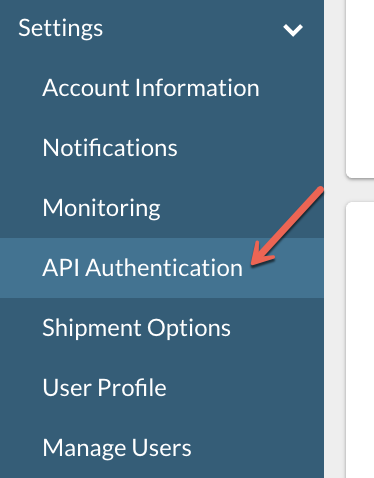 If you are using a custom API requests and responses, you will need to provide those details either by submitting a ticket or emailing support@logicbroker.com. 1. 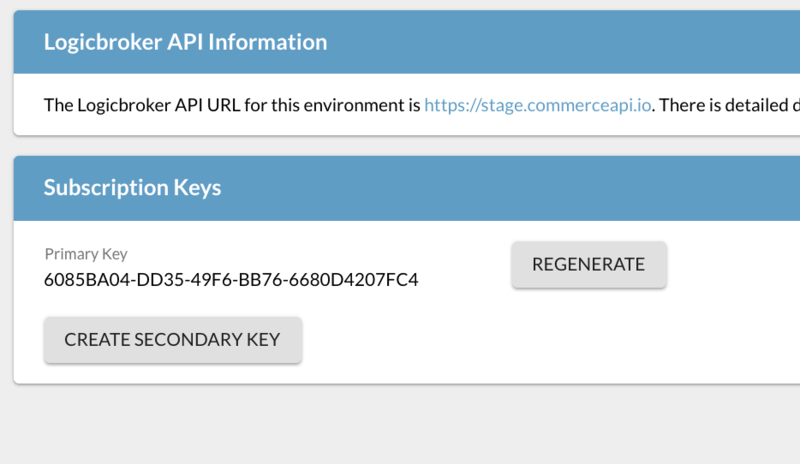 To setup an API key either log into the Logicbroker Stage or Production Portal depending on which environment you need. 3. Click on Create Primary Key and Confirm. NOTE: If there is already a key generated, you should validate with all parties at your organization before generating a new key. It could break an existing integration. The Primary Key is generally for your internal use whereas the secondary key can be shared with your 3rd party development or external resources. Every request must have the API key as a URL query parameter (subscription-key).